Adding each of the flawless elements found within truly divine design, the smooth sophistication emanating from each of the radiant rugs within the Akita collection by Home Decorators will create the perfect look for your space. Hand woven in 100% wool, the exquisite patterns and vibrant colouring splashed across each perfect piece will surely redefine your room, fashioning a sense of chic and captivating charm in any home decor. Stop them in their tracks with the palette of the moment, artfully woven throughout the design of the Truro, another show stopping debut from our Berkshire Collection. This modern shag is wonderfully woven with the soft touch of our exclusive eco-friendly Everstrand fibre, created from up to 100% post-consumer content from plastic bottles, for a touch that feels as good as it looks! Thick with texture and ample charm, the informal elegance of the Vernon is at once both enchanting and welcoming. A soothing palette of sun washed hues softens the curves of the winding vinery and medallion design. Easy on the eyes and the environment to boot, the Vernon is wonderfully woven with the soft touch and premium stain resistance of our exclusive Everstrand fibre, consciously constructed with up to 100% recycled post-consumer content from plastic bottles. 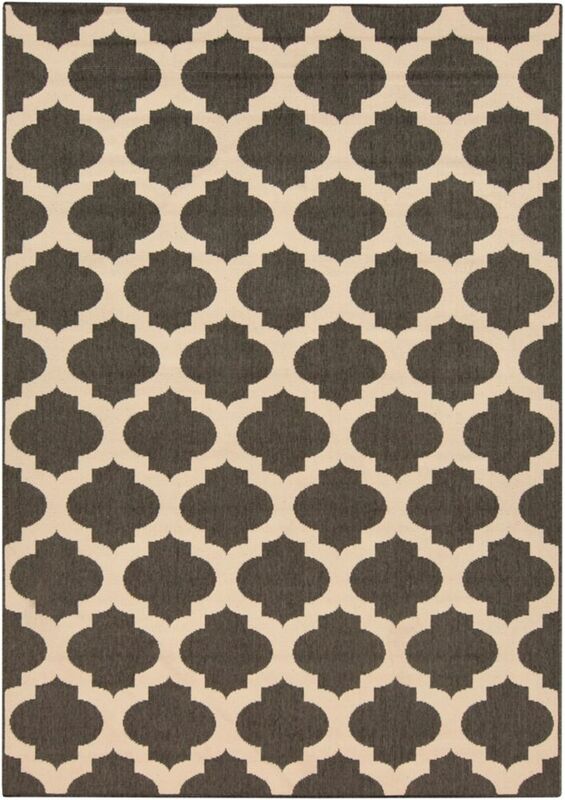 Aggie Black 5 Feet 3 Inch x 7 Feet 6 Inch Indoor/Outdoor Area Rug Achieving a sense of timeless trend that will suit both your indoor AND outdoor spaces, the Aggie collection by Home Decorators is everything you've been searching for and so much more! Embodying a series of current trends, these 100% polypropylene pieces will radiate a sense of upbeat and exquisite charm that will surely transform any room within your indoor or outdoor decor.